Blackbird Vineyards is located in the heart of the Oak Knoll district in the southern part of Napa Valley and was purchased in 2003. 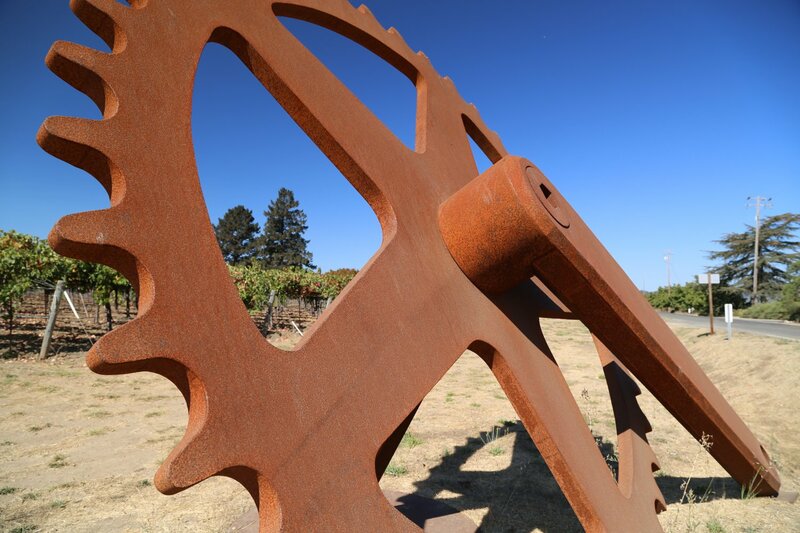 The vineyards (formerly a walnut orchard) are entirely planted to Merlot and over the years this vineyard has provided fruit to many very high end Napa wineries including Shafer, Viader, and Lail. 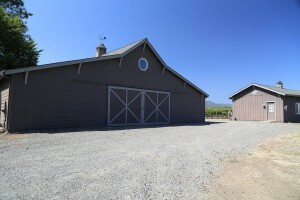 The property is nearly 10 acres of which 7 acres are planted to vine. 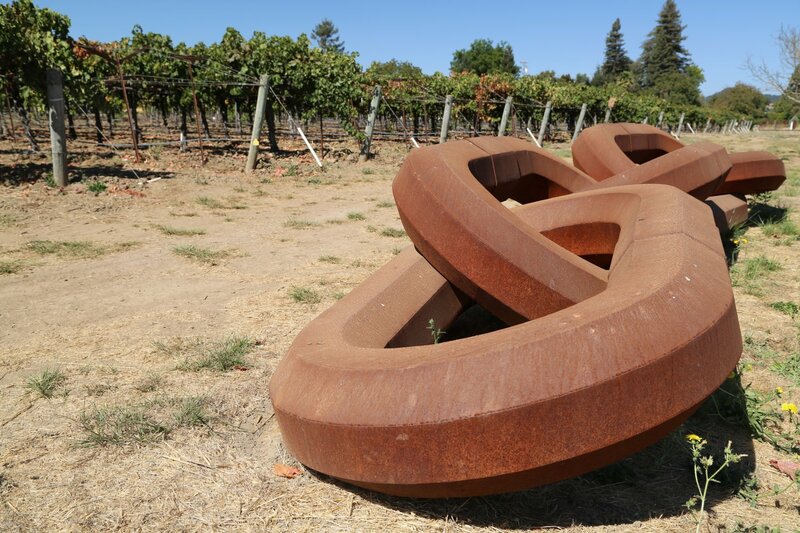 An early success from this vineyard was when well-regarded winemaker Mia Klein created a vineyard designate from this vineyard for her 1999 Selene Merlot (her own label). 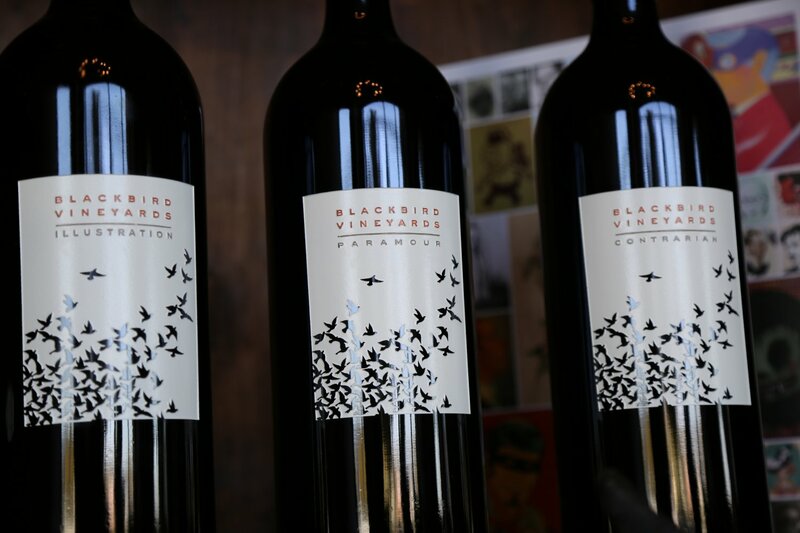 Blackbird Vineyards was founded by Michael Polenske, an investment banker as well as an entrepreneur. He has been interested in wine for many years, and took a number of wine related classes while in college. 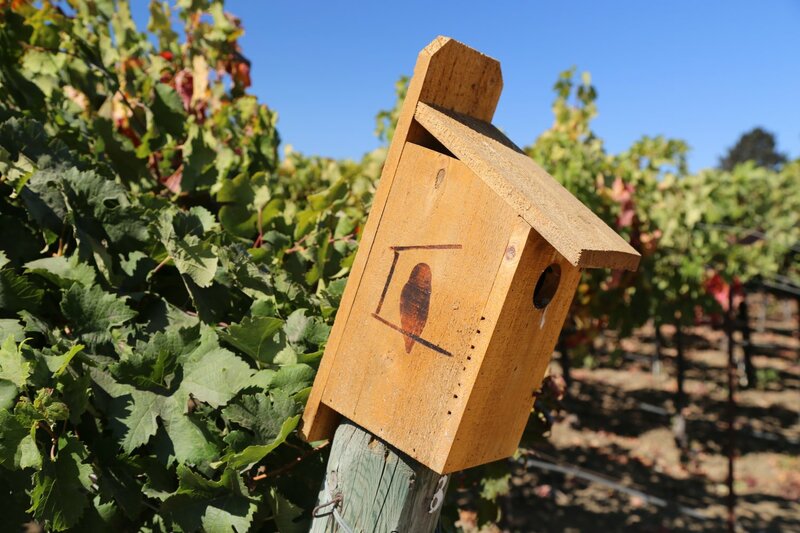 Today, Blackbird is his passion – within seconds of walking out of his house or office he is in the vineyards. He follows “the business of leisure” model, or more simply stated, invest in what you love and turn that into a self sustaining business. 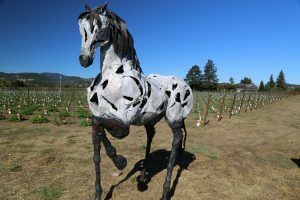 He did this with Blackbird Vineyards followed by a number of interests in the art and design world including Ma(i)sonry in Yountville (since sold to Restoration Hardware). Today his Bespoke Collection oversees several art galleries including in Yountville, Napa, and Healdsburg as well as curates a number of outdoor art collections in both Napa and Sonoma County. 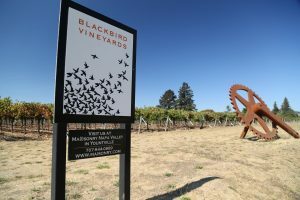 The first vintage of Blackbird Vineyards was in 2003 but this was merely 90 cases as most of the fruit at that time was still being sold to area wineries. 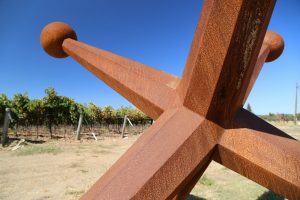 Sarah Gott made the first few vintages – well-regarded winemaker and raconteur Aaron Pott has made every vintage since 2006. 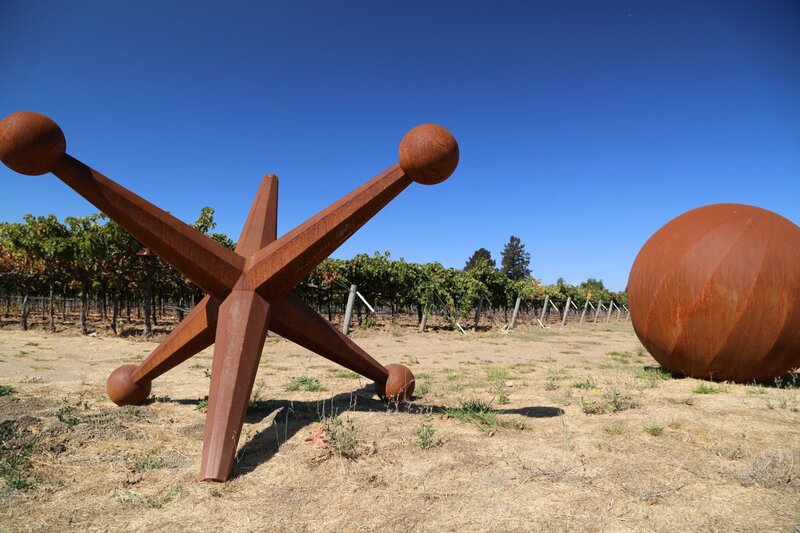 Aaron’s style of wines are ones that strike a well balanced approach between fruit, acidity, and structure. And they are built to age. 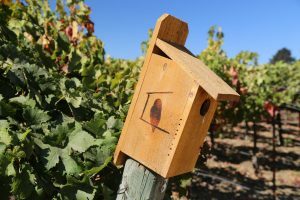 Invariably with even a little bit of time spent in the Napa Valley, you will hear about Napa’s “Cult Cabernet” wineries, however you never hear about a Napa cult Merlot – but if there was one, Blackbird would probably be the closest fit. Based on the size of their vineyard they do not make a lot of wine each year. The focus every vintage is on three red wine blends – each of which contains significant percentages of Merlot. They also produce a rosé wine of Cabernet Franc, Cabernet Sauvignon and Merlot (tends to sell out quickly). 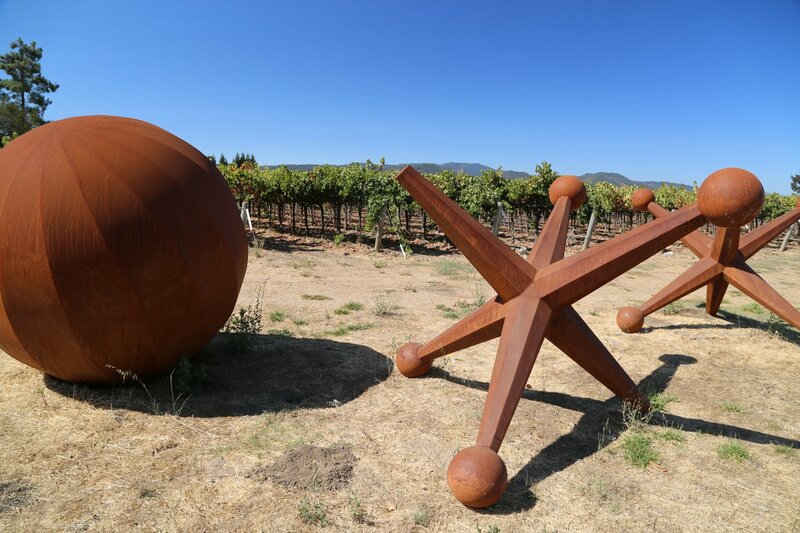 In addition to their Oak Knoll based estate vineyard (with its sometimes rotating outdoor sculptures at the intersection of Oak Knoll Ave and Big Ranch Road), they source from select very premium vineyards ranging from Carneros in the south to St. Helena in the north. All their wines have proprietary names and a quote is associated with each wine. Some of the names or the quotes are taken from well-known songs or associated with musicians. Incidentally, “Merlot” in patois (a French dialect) means Blackbird. The growing climate and soil types are somewhat similar to Pomerol, France’s prominent Merlot growing region. We tried the 2004 and 2005 vintages while visiting their Oak Knoll Vineyard; both wines are unfined and unfiltered for maximum flavor and both wines are really true to the flavors of this varietal and terroir which is a testament to their acclaimed winemaker Sarah Gott and the vineyard source. The 2004 is 95% Merlot and 5% Cabernet Sauvignon. It is a dark wine with a bright lively fruit on the nose and a palate full of ripe cherry and blackberries with touches of mocha and chocolate. The finish is long and smooth. The 2005 vintage includes a nearly identical blend, displays a deeper rich earthy aromatic profile with again a diversity of fruit flavors including plum and blueberry. It is a very well balanced wine with nice character on the finish. The one white wine produced is the Dissonance Sauvigon Blanc. The 2015 vintage does not have any grassy or green aromatic notes. Rather the nose shows notes of pear, honeysuckle and peach. Somewhat tropical floral notes as well. Aptly and simply described the palate is delicious – it is balanced with a richness of fruit tempered by good acidity. Decent weight for 100% Sauvignon blanc. A subtle minerality component complements the finish. 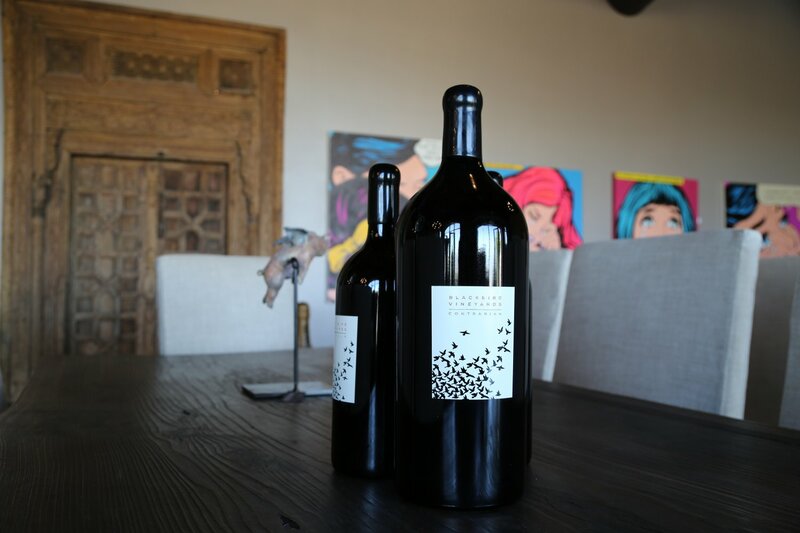 The 2013 Paramour is a blend of 52% Cabernet Franc, 34% Merlot and 14% Cabernet Sauvignon. The density of color of this wine complements the density of structure on the palate. Savory aromas show including mostly darker fruits – blueberry and blackberry complemented by floral notes. The tannins are sediment like, dark, brooding, complex and long lasting. Well layered both in flavor and in the tannin textural profile. 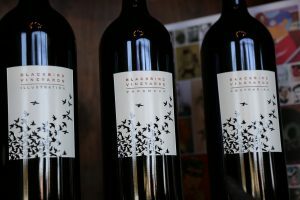 In unique offering – in 2009 Blackbird Vineyards partnered with GrammyTM Award-winning artist Martina McBride to produce a “signature series” Napa wine. Each bottle has Martina’s stamped autograph is is offered exclusively to members of her fan community. Martina first tasted Blackbird’s wines while touring Napa Valley. 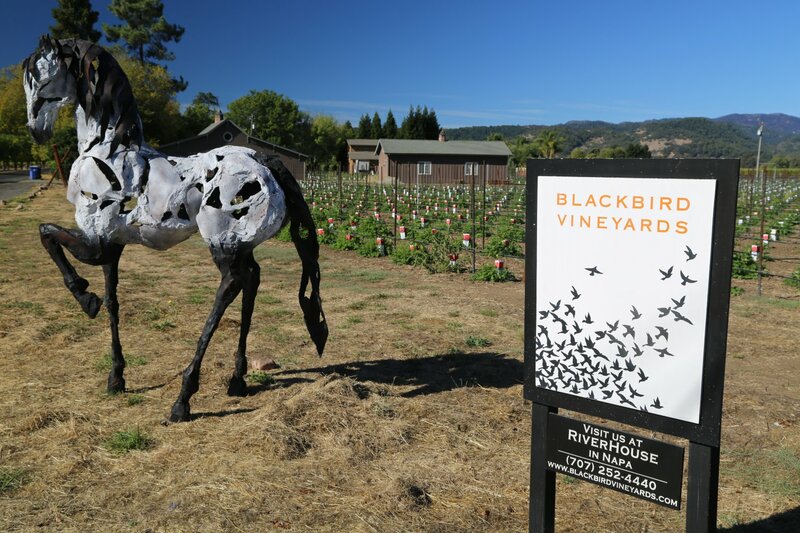 Blackbird Vineyards continues to grow in appeal among serious wine enthusiasts. The wine can currently be tasted in two different locations, Ma(i)sonry in Yountville (just down the street from the famed French Laundry restaurant) and the RiverHouse by Bespoke Collection in downtown Napa. Several tasting experiences are offered at the RiverHouse (where wine is paired with art) including the Portfolio Tasting which includes the current releases of Blackbird Wines and the Bento Box tasting – a Bento Box lunch prepared by their culinary neighbor, Morimoto Napa – which is paired with the current releases of the Blackbird wines. Tasting are currently conducted inside but plans call for being able to host tastings on the walkway directly outside. The RiverHouse opened in September 2016 along the Napa Riverfront Walk just off of Main Street (almost directly behind the Napa Valley Welcome Center). Parking is plentiful in the area including a nearby garage or along adjacent streets.